The Junior League of Gwinnett and North Fulton Counties has a singular focus on girls’ empowerment. Your donation will go to fund projects in our geographic region supporting our community partners as well as our program, Strong Girls, Bright Futures. In addition to the funds being utilized in collaboration with community programs, JLGNF supplies trained volunteers to efficiently and effectively use every dollar donated. Our members benefit from our training programs and take their skills back to their jobs, other organizations and board positions within the community. To learn more about how you can support JLGNF, click on the sponsorship opportunity or event below to learn more. 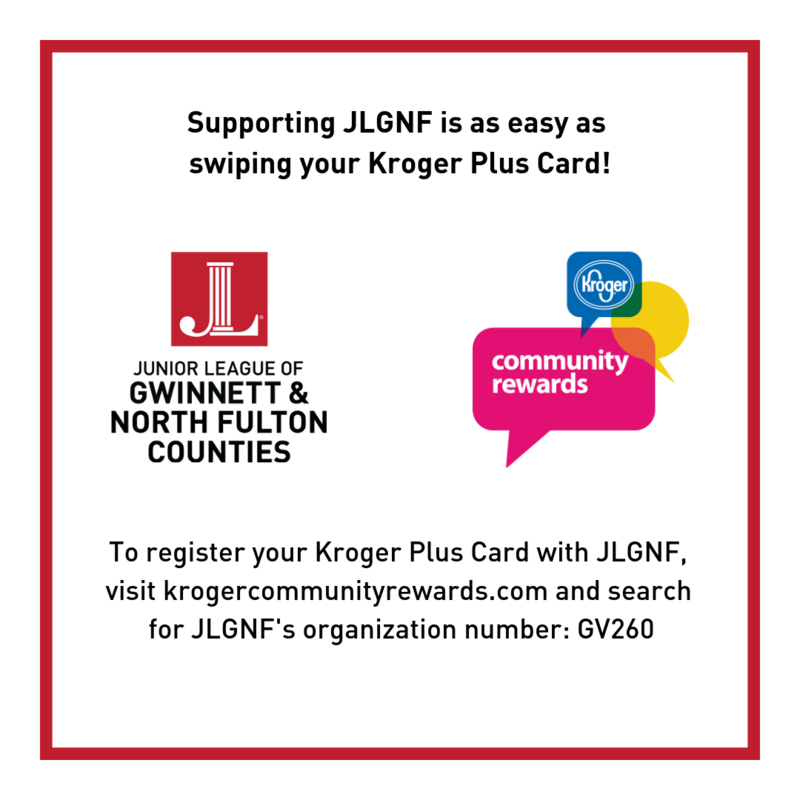 Another way you can support JLGNF is while you shop at Kroger and on Amazon! Simply click on the links below to sign up and then every time you shop with these two stores, they will make a donation to JLGNF – at no cost to you!